Wouldn’t it be great if Americans, “as one people, with one voice” were thankful for the service and sacrifice of our veterans and service members? There was a time when almost everyone – including most Democrats – actually did honor our uniformed heroes. The last time that was the case was during World War II. In 1956, not long after the end of WWI, Russian Communist Party leader Nikita Khrushchev said, “We will take America without firing a shot. We do not have to invade the U.S. We will destroy you from within.” Knowing that overt Communism would be rejected, Socialism was used to begin the destruction of America from within. Long before both Hillary Clinton and Barack Obama became disciples of the ultra-radical Saul Alinsky, Democrats fell under the influence of Socialists. One of their goals was to eradicate patriotism in the United States. It is no coincidence that every attack on the flag, the Pledge, patriotic statues and monuments, and on patriotic expression of any kind in our schools has originated in the Democrat Party. This is not just opinion. Below is a link to a Gallup poll that shows patriotism in America is at an all-time low. For the first time since the poll began, less than half of Americans agree with the statement, “I am extremely proud to be an American.” In the poll, 47% of all Americans agreed, down from 70% in 2003. Patriotism among Republicans and Conservatives is at a five-year high of 74%; the number of Democrats and Liberals who agree has dropped almost in half, from 56% in 2013 to just 32% today. The Communists and Socialists have also targeted Christianity and the family. 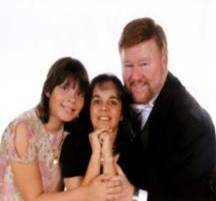 Their stated goals include ridiculing the Bible, breaking down the family, promoting no-fault divorce, encouraging perversion (particularly homosexuality), and changing laws to allow abortion on demand. Again, Democrats and Liberals have led the efforts in all of these areas. Their greatest success, though, has been in the area of promoting disrespect and even hatred toward our military men and women. From spitting upon and throwing blood on returning service members and calling them “baby-killers” to desecrating the graves of fallen heroes and sabotaging the health-care of veterans in VA facilities, Democrats and Liberals have been very effective at demoralizing both veterans and active duty personnel, and discouraging enlistment. So while I sincerely wish that the Vice-President statement was correct and that Americans, “as one people, with one voice” were thankful for the service and sacrifice of our veterans and service members, I know it is not true. I want to emphasize that I believe that to be true of the majority of Americans, a shameful minority has taken control of the means of communication and true power in this country, and make it appear to be something it is not. Our school systems. Public school curricula are greatly influenced by the national teacher’s union, whose two foremost goals have nothing to do with education, but rather with indoctrinating our children: Protecting the “right” of women to murder their babies in the womb; and promotion of homosexual marriage and special rights for the LGBTQ “community”. Our colleges and universities. With the exception of Christian institutions, all public and private institutions of higher learning are controlled by Liberals and Democrats. Liberal professors outnumber Conservatives 12:1. Democrats outnumber Republicans 10:1. And 39% of American campuses do not have a single Republican professor on staff. Worse, of the 9,000 professors at the 51 top-rated schools – the ones students most want to attend – Democrats outnumber Republicans by 108 to one. The courts. President is working hard to reverse this trend, but he – and the nation – have a long way to go. Most believe that the Supreme Court is the most important place to focus our attention. Not true. The 13 Circuits of the U.S. Court of Appeals collectively are more powerful than the Supreme Court. Certainly, the Supremes can overrule any of the Circuit Courts. But the Circuit Court Opinions usually stand unchallenged, because only a tiny percentage of the rulings ever reach the highest court. When Obama took office only one of the 13 Circuits was controlled by Liberals. 55 Obama appointments later, nine of those benches – 70% - are solidly Liberal. The Deep State. Conventional wisdom is that there are three branches of government. The fourth branch is not in the Constitution, but it is becoming more and more powerful and in some cases more powerful than the Constitutional branches. Because of ill-conceived Civil Service laws that make it almost impossible to fire corrupt government officials, the bureaucrats have become a force to be reckoned with. And the great majority of them are Democrats and Liberals. Add to that the fact that Congressional staff read and analyze bills that their bosses vote for; seldom have Senators and Congressmen personally read the bills they cast votes for or against. When you combine the bureaucrats and the staff, most of who keep their jobs regardless of which party is in power, you have an unelected Deep State that has more power than elected officials. The media. I know these statistics become predictable, but we need to know what we are facing. According to the former CEO of NPR (National Public Radio), Democrats outnumber Republicans 5 to 1 in media – including supposedly non-partisan media like NPR and National Public television, which are government-financed. Worse, 97% of the people who decide what news you are allowed to see (the publishers and producers) are Democrats or Liberals. This is nothing more or less than a dangerous form of censorship designed to brainwash an entire nation to think like Socialists. 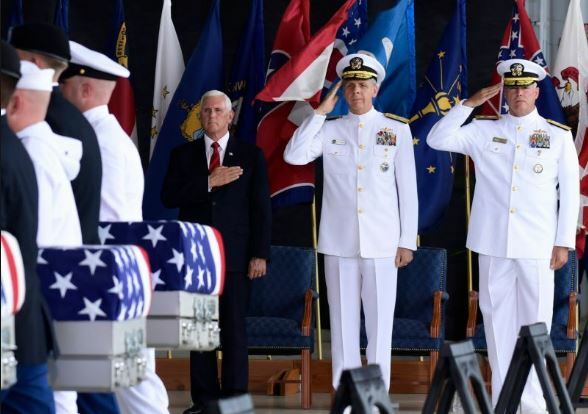 I was proud to see that FOX News honored not just our Korean War veterans, but all U.S. veterans, by carrying the entire nationally significant ceremony in which Vice-President Pence welcomed our fallen heroes home. To their everlasting shame, none of the other networks did so. Some carried short clips; others ignored our veterans completely. This demonstrates the incredible divide in our nation. The great majority of Americans love and appreciate our veterans, our military, our flag, our national anthem, and our Pledge of Allegiance. These are the real Americans, the real patriots. Others, with outsized influence compared to their numbers, despise everything true Americans stand for. These are led by ex-president Obama, who only placed an American flag on his suit when it became apparent that refusing to do so was hurting his presidential campaign. 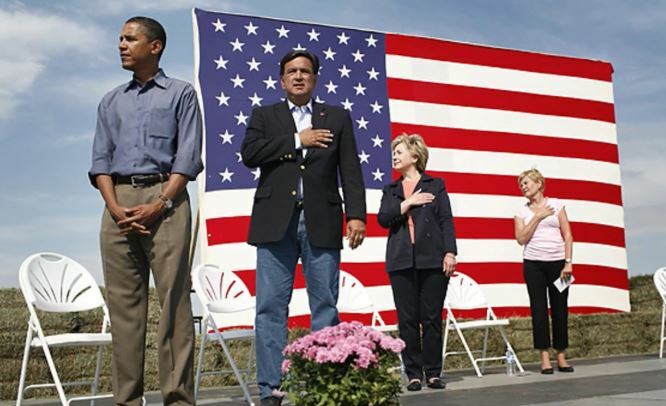 And we can never forget the public ceremonies in which he refused to place his hand over his heart when the flag was honored. Again, he was eventually shamed into pretending he was patriotic. In my list of five institutions above that wield an inordinate amount of influence over the way Americans think, I did not include the political class. That is because they come and go. Obama, with his slick words, boyish good looks, and forked tongue had an outsized influence on American thinking. He ridiculed sacred American institutions and lifted up Socialist ideals. Fortunately, there’s a new sheriff in town. And he doesn’t wait for formal speeches or press conferences to put his ideas out there – he’s the Twitter president. At first, to be frank with you, I didn’t like that. It seemed – well, unseemly. But now I understand his strategy. He will never get a fair hearing in the press. Most of them are the ones who lifted Obama into office, and they hate our new president. So Trump just bypasses them. He speaks directly to the people – and they love it. Do we really need a bunch of blow-dried talking heads to spend two hours telling us what a politician said in his 30-minute speech? No! Let’s hear it form his own lips – or keyboard in this case. I’ll tell you one thing for sure: You can’t point to any American president who was more patriotic or loved America more than President Trump. If Obama was in the middle of trying to avoid a nuclear showdown, would he have taken time to negotiate for the returns of the remains of our Korean War heroes? No way. And if North Korea had sent any remains back when he was in office, they would have been unceremoniously shipped to a warehouse to be identified. Because Obama never showed respect for our military. What did Trump do? He sent the Vice President of the United States to personally welcome these brave men home. I think he wanted to come himself, but he gave the honor to Pence because his father was a Korean War combat veteran. He made sure that representatives of all the nations that fought with us against Communism were there. And he had Air Force Two make a special stop in California to take the children of two Korean War troops who were KIA. Was all of this symbolic? Of course, it was. But we need symbols. We need ceremonies. And our servicemen and women need to know that our nation takes seriously its sacred pledge to leave no American behind.